- Now, 'world' panel. 'Surface' settings should set to 'none'. - Now we'll work from the 'node editor'. - Make shure there is 'world output' node. - Add 'baskground' node, and connect it to the 'surface' within 'world output' node. - Now if we make a preview, we'll see white background. - In the 'node editor' add 'enviroment texture' node. - If you want a bit more control, you can add 'Mapping' node and 'Texture coordinate' node, than it's posible to rotate, translate and scale background image. This is a simplest way i managed to put hdri (in this case bmp), but, it probably would be better if there is exposure control. Anyway, 'Cycles' is in early stage of development, it is powerful enough already. Very easy tutm you saved me a lot of search! Thanks so much for explaining this setup so clearly and concisely. It's a big help! 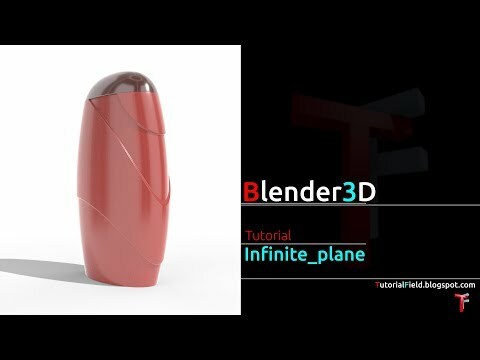 I´m new in blender, and I have a question, maybe a stupid one! I ´m trying to use a image background. I did everything like you said, but the image goes out of the "world" and assume a sphere form in the opposite side. It is like my object is out side of world scene,can i send you a picture,is it hard to explain...!!! I'm not sure if i understood correctly, but, if image goes out of the scene, than viewport clipping should be adjusted. Press N with cursor over the viewport, in toolbar that appears on the right side, within view tab, increase 'end' value for clipping. If this doesn't solve the thing than you could send me an image or file which is better. I was hoping to find this tutorial again, thanks a lot author!! 1. In the 'world' panel I set 'Surface' to 'background', otherwise the bkgrnd gets black, not white. 2. The effect of the whole procedure is single color rather than image - the sky gets no tex, just blue. - Environment texture > Background > World output. With default settings it only requires an image within 'Environment texure' node, and it should work. The other usage of background is 'Sky texure' node, the order is the same. With default settings it should work. When 'Background' node is a single node that has been used, result is single color, but, if you connect 'Sky texture' node, or, 'Environment texture' node (with image assigned) to 'Background' node, you get 'real sky' background. Very soon i'll start again with making tutorials, and all the ones that are outdated, i'll make updated versions.